US - The US Senate Committee on Agriculture, Nutrition and Forestry held a hearing recently on the impact of avian flu on the poultry sector, listening to a variety of witnesses and stakeholders. In early 2015, outbreaks of Highly Pathogenic Avian Influenza (HPAI) began appearing in backyard flocks and in a few isolated commercial poultry flocks. The disease spread rapidly and forced egg and poultry producers to depopulate millions of birds across the country, creating short and long-term damaging effects on rural economies. “Agriculture businesses are often the backbones of the rural communities that dot the American countryside, and the ripple effect that HPAI has had on these rural communities is dramatic and widespread,” Committee Chairman Senator Pat Roberts said. Mr Roberts commended government agencies and industry for working together to produce a rapid and coordinated response to the outbreak, and said that many affected farms have now begun repopulating, which is essential to prevent further economic hardship. “While this outbreak has caused severe disruption to the US poultry sector and to retailers, it is important to reiterate that there has been no impact on human health and/or food safety. “It is critical that we take the lessons learned from this outbreak and put them to good use. We need to take a good hard look at the animal health infrastructure here in the US so we have the proper measures in place to continue to protect US flocks and herds, and thus the global food supply." The committee first heard from Dr John Clifford, Deputy Administrator in Veterinary Services at the US Department of Agriculture's Animal and Plant Health Inspection Service (APHIS). Dr Clifford said that a large number of USDA personnel had taken part in the operation to prevent the further spread of avian flu, with more than 400 USDA staff and nearly 3,000 USDA-contracted personnel working around the clock in every affected state on the response. They used more than half of APHIS' yearly budget in responding to the outbreak. He also mentioned the epidemiological investigation that APHIS had carried out, saying that whilst they could not pinpoint a cause, biosecurity measures that are sufficient in ordinary times were not sufficient in the face of such a large amount of virus in the environment. He said: "We all agree we're in this fight together. We have a shared interest in eradicating this disease, and getting the poultry industry back on its feet." Dr Clifford mentioned that APHIS has held meetings with state officials and industry stakeholders, to ensure that they have adequate responses in place to deal with a potential re-emergence of avian flu in the autumn. In particular, he emphasised the importance of arranging disposal sites for the dead birds that could be created by a new outbreak, so that farm depopulation can happen efficiently. The second speaker, Dr David Swayne, Laboratory Director at the Southeast Poultry Research Laboratory in the Agricultural Research Services division of the USDA, described how scientists had swiftly refocused their work to study the aspects of avian flu most important for defeating the disease. For example, within weeks of the first outbreaks, a rapid molecular test had been developed to detect the virus. His research showed that commercial chickens and turkeys required high doses of the virus before they contracted the disease, but then became ill and died, whereas wild birds became infected under a low environmental load, and had more efficient contact transmission. Dr Swayne said that there were no vaccines currently approved in the US against avian flu, however he noted a number of problems that vaccine users in Asia had seen, such as vaccine resistance and the emergence of new strains, as well as potential impacts these vaccines would have on exports. The two doctors discussed with the committee how the US might improve their animal biosecurity measures and disease control measures, in order to deal with diseases like avian influenza and potential movement of foot and mouth into the country. They strongly put forward the case for additional investment in laboratories to allow them to respond to emergencies more easily. The committee then heard from industry stakeholders, starting with James Dean, the chairman of United Egg Producers. 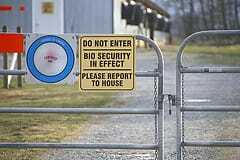 He emphasised that poultry producers had not been caught unawares by the disease, but had been implementing biosecurity measures for many years, starting after the HPAI outbreaks in Pennsylvania in the 1980s. However he said the scale of the outbreaks had been unprecedented, and had even infected farms with perfect scores on biosecurity tests. Some of the many jobs the egg industry supports have now been put at risk. Mr Dean told the committee how it will take egg farmers some time to repopulate farms fully and get back up to full production due to the need for staggering the ages of laying hens in different houses, and expressed concern that US indemnity payouts do not reflect this mode of operation, which could lead to unfair payouts compared with broiler operations. Ken Klippen, President of the National Association of Egg Farmers, expressed the opinion in his testimony that the avian flu outbreaks show that poultry should be reared indoors as per his organisation's policy, saying that free-range poultry production poses a biosecurity risk. Mr Klippen also reiterated the indemnification plan proposed to APHIS in May and urged the Senators to help keep the payment to egg farmers consistent with the federal regulations specifying future egg production. 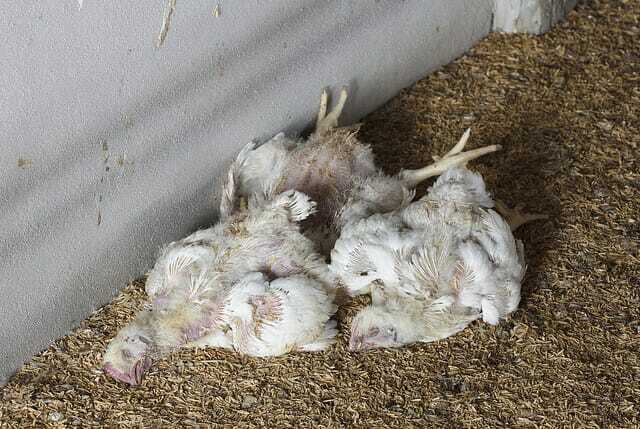 He also asked why some egg farmers were being compensated for the destruction of egg cartons while others were not. APHIS has promised to look into the indemnification rate along with the egg carton issue. The other witnesses giving testimony were from farmers and businessmen affected by the avian influenza outbreaks. They expressed gratitude to the US government agencies for the indemnity payments given to affected producers, saying that without these payments many would have gone out of business. They asked for more clarity from the government on the correct protocols to use in the event of such emergencies, and more planning, to allow producers to work with government more easily. Rob Knecht, of Michigan Allied Poultry, said that new biosecurity measures had been implemented on farms in his state, such as extra regulation on workers to prevent them spreading the disease by extra washing and movement between farms, and extra vehicle washing. Overall, the committee showed willing in the Senators to do more to help, and many new measures were discussed to try and help producers and mitigate the impacts of future outbreaks. You can watch a video of the hearing and read full testimony from the witnesses by clicking here.